WebArt is a company formed by BusinessVoice and Apogee Marketing Group based out of Toledo, OH. We have a client range from coast to coast specializing in custom websites designed for marketing and conversions. Our services include custom design and development, content management system with training, e-commerce, search engine optimization, social media management, e-mail marketing, web analytics tracking and consulting, and web audio marketing. Our staff is always on call to your needs and specializes in customer service. Read more about WebArt by visiting our website. 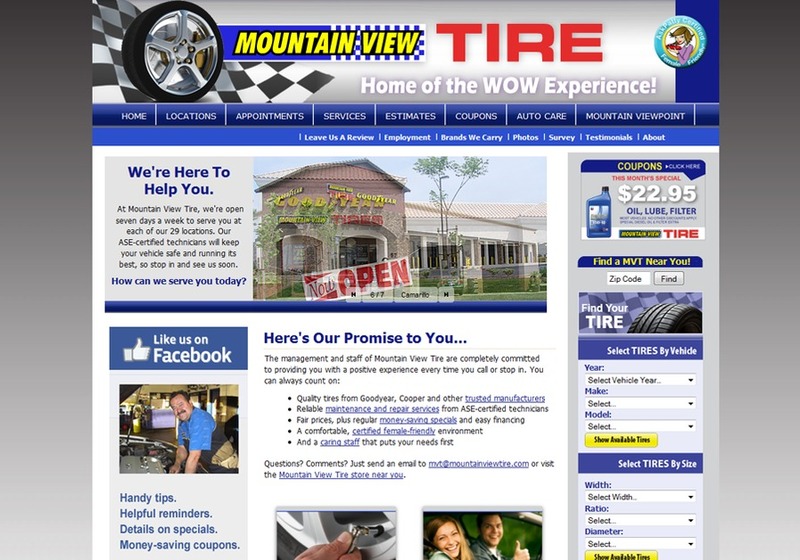 This was a website done for Mountain View Tire a client based in the greater Los Angeles area. This website build included a custom website design and build, content management system, custom application build (tire selector), and monthly management of social media and search engine optimization.